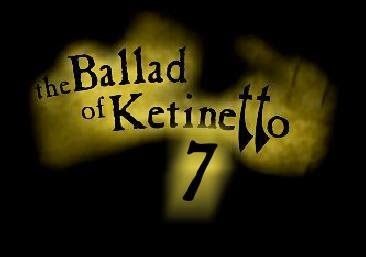 Full step-by-step walkthrough solution to help you solve The Ballad Of Ketinetto part 7. Detailed explanations with help and screen prints. If you need more help, then please use the comment section below. You can play this free windows flash point-and-click room escape game here. Click on the rock (bottom, a bit right from the center). Kitenetto will stand on it. Click amber, then click the bottom panel. Make the picture of the eye. Zoom out then press the switch. If you made the correct eye, then the force field will be gone. Click on the chicken caller to learn how to make one. Go back to the pillar and pick up the piece of wood. Take the water bottle from the water. Place the wood on the stone in the center. The termites will make a statue out of the wood. Take a fruit from the berry bush behind Kitenetto. Give the fruit to the gorilla. Click the parrot to get a feather. 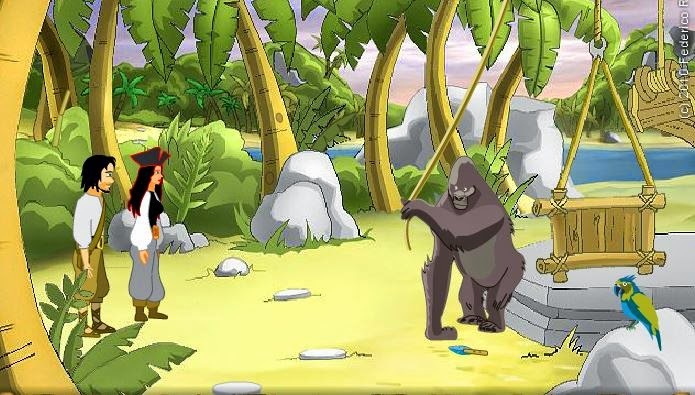 Use the feather on the gorilla... it will tickle him and he will squash the fruit. Take the fruit puiree and give it to the hidden monkey on the left. He will give you a banana. Give the statue to the hidden monkey, 2nd from the right. He will give you the second banana. Ketinetto to stand on the stone. 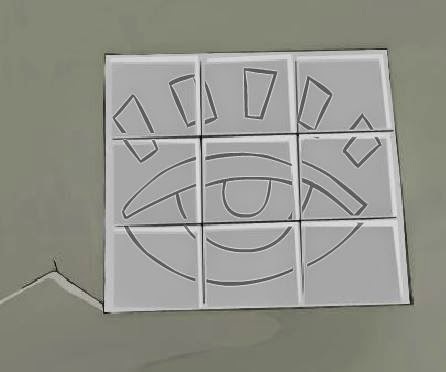 Amber to change 1 of the eye puzzle pieces on the panel. Press the switch to get the beams back. Use the cane on the beam to make the holes. Correct the picture and press the switch to clear the beams. Make a chickencaller by combining the cane with the feather. Use Ketinetto. Use the chicken caller in the distance. 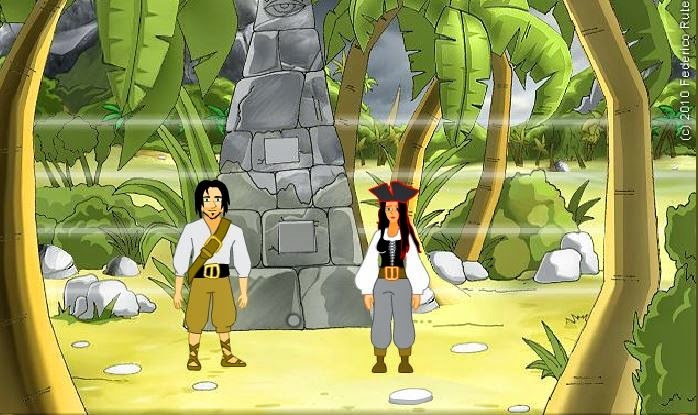 Go to the isle and find the 5 leaves. Go back to the pillar. Use the leaves on the chicken. Use the egg on the stone to make a fried egg. Take the fried egg and give to the hidden monkey on the right. Take the greased napkin from the tree where the monkey ate the egg. Combine the napkin with the stone to pollish it. Put the polished stone on the rock. Open the top leaf to let the sun rays in. The parrot will dance and you will get the 4th banana! Give the bananas to the gorilla. He will take you to the mountain tops. Hope you enjoyed my walkthrough!